Did Derek cheat on Meredith? Would Grey's Anatomy really go there? What about Team MerDer?! The aforementioned questions have been on our minds since the night an unfamiliar and mysterious woman answered Derek's phone. 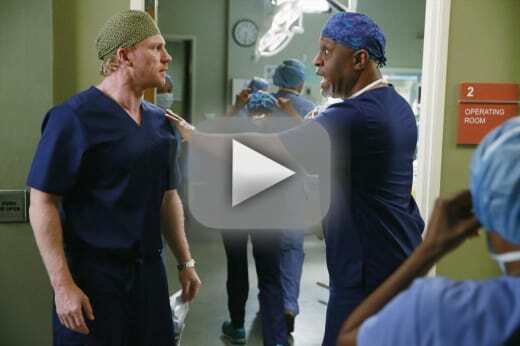 Derek's alleged affair was finally brought to light on Grey's Anatomy Season 11 Episode 17. While I'm glad to have found out what exactly happened in D.C., I'm disappointed in Derek for not being completely honest. I absolutely hate that Meredith doesn't know the truth about what went down. I really wanted to believe that Derek wouldn't cheat. However, as the flashbacks from all of the pivotal MerDer moments played along with Derek's encounters with Renee, his fellow, I knew something was up. McDreamy just couldn't stop being dreamy and needed attention. Was it just innocent flirting that led to a regrettable kiss? IT DOESN'T MATTER. As his wife, Meredith deserves to know what exactly made him realize that his family was what mattered. Hey Meredith, Derek didn't rush back solely because he realized what he had back home. He messed up, and then realized what was important to him all along. That last MerDer scene was noteworthy, but it is way too soon for me to forget about what Derek did. I can't imagine that Meredith will be in the dark forever. 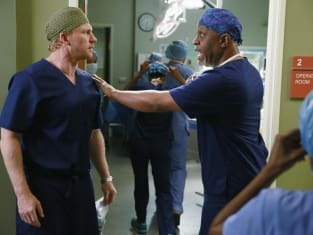 Derek ought to come clean, and MerDer should try out marriage or couples counseling – especially for Zola and Bailey's sake. Aside from the major MerDer drama, Owen was shocked when his mother was admitted to the hospital. Much to Owen's dismay, his mother was dating a much younger firefighter. In fact, his mother's boyfriend was even younger than him. Owen convinced his mother that John was just using her, but realized later that he may have been wrong. Kudos to Owen for realizing that it was his mother's life and that John did care for his mother. Meanwhile, Meredith's streak of successful surgeries is officially over. She was unable to help a patient who was weak and waiting on a liver transplant. What Alex said to her about them doing all they could was totally on point. Elsewhere, Jo worked with April to help a patient who was experiencing frequent headaches and strange nosebleeds. Come to find out, it was a leech that was using the patient's sinus cavity to move around. Seriously, EWWW! So disgusting! I can't lie. I'm a little nervous now about using my Neti pot tonight. 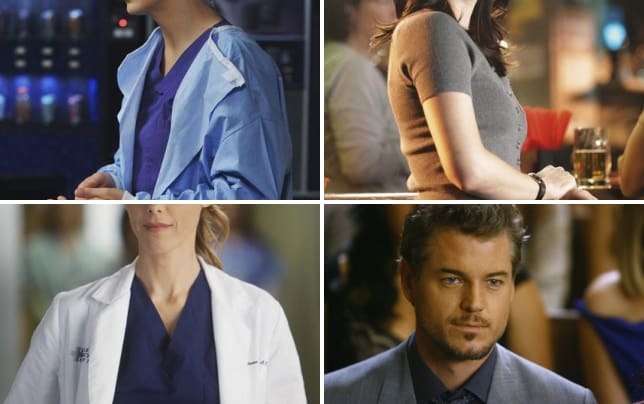 I liked the scene with Callie, Maggie and Alex trying to figure out what was going on with Meredith. We need to see more of this gang. Best scene had to have been when Alex hugged Meredith and told her that she could be a mess and he didn't care because he could take it. Stephanie tried to bribe Ben for a surgery and failed. Of course he told Bailey, and of course she told Stephanie to up the ante. OMG! Omelia! They are totally on now. What did you think of "With or Without You"? This wasn't my favorite installment. Thank goodness we didn't have to wait another week to find out if Derek cheated or not, but I'm not satisfied since Meredith doesn't know what really happened. The episode was filled with a lot of other storylines that helped moved the episode along. NOTE: Grey's Anatomy Season 11 Episode 18 will be titled "When I Grow Up" and air on Thursday, April 2. Meredith: It seems like you came home because you thought you were in trouble. Derek: I came home because we're on trouble. I came home to work on us. I came home. Permalink: I came home because we're on trouble. I came home to work on us. I came home.